The successful CHP specialist, the Geisberger Society for Energy Optimization mbH, relies on reliable and proven components and enables its customers to the economic success of their biogas plants. Also Geisberger with the CHP power systems from the rural Upper Bavaria relies on quality catalysts from Emission Partner. 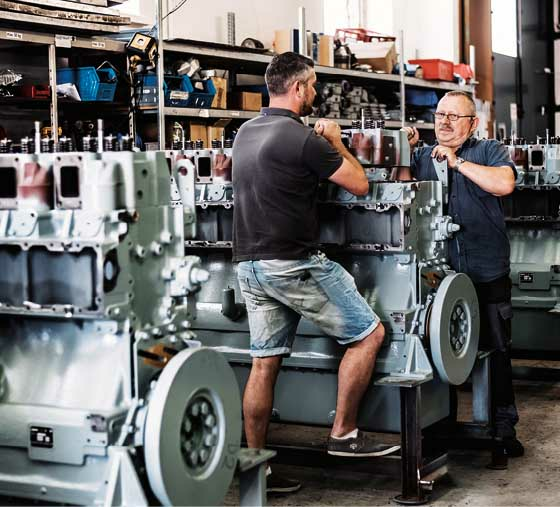 “We have been 35 years a family business with great experience in the field of power generation and optimization and are committed to the high quality of our products known in the energy industry”, describes owner and founder Maximilian Geisberger, his company. Self-designed and developed natural- and bio-gas CHP stations in the following output sizes of 75 to 550 kW electric, have been the main business for years. The company is certified according to DIN EN ISO 9001 and is the only one nationally to have the unit certificate (Medium Voltage Directive) for combined heat and power plants with the latest generation of asynchronous generators received. 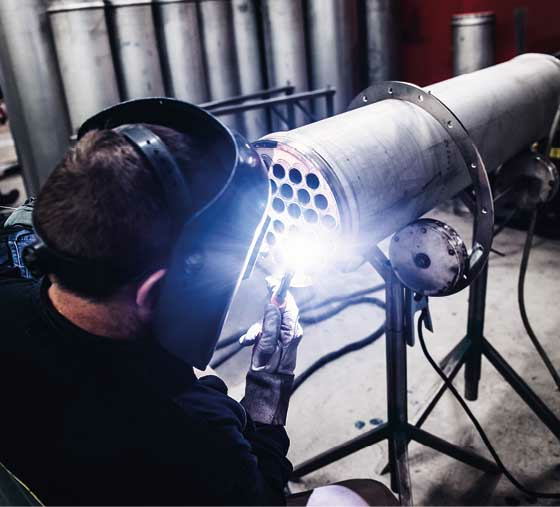 Geisberger has been focusing on Emission Partner Products since 2013 and by the new regulation of the emission reduction bonus the cooperation intensified at the beginning of 2018. 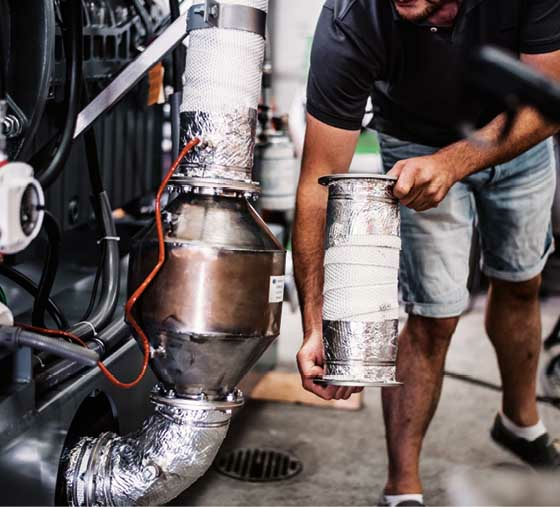 “For our PowerMini and PowerMidi series a double cone catalytic converter with a larger matrix and optimized flow direction was jointly developed. A catalyst exchange is very easy to carry out due to the loosening of the flange connections and compared to catalyst chambers a more cost-effective alternative. For the typically as Flex motor used Mitsubishi gas engine with a power output of 550 kW, a double-flanged exhaust gas heat exchanger catalytic converter with an extended catalyst matrix is used. In this case just the double flange solution compared to the primary product makes the difference: Because with a limit value of 20 mg/Nm³ even a small gas slip of 10 %, such as that of the conventional exhaust gas heat exchanger catalysts the emission measurement will fail”, reports sales manager Stefan Kuttenberger. In this year’s emission measurements, for all catalytic converters measured values far below 20 mg/Nm³ formaldehyde have been achieved. “With the advice, the price/performance ratio and the positive cooperation between the two companies we are very satisfied and one feels also well prepared with respect to coming reductions in limit values (in the future),” Geisberger describes the synergy with Emission Partner.